Who? Raw food chef Innessa Bauer has served in the Canadian Infantry, lived in the Amazon and now creates nutrient-dense superfood supplements in London. What? 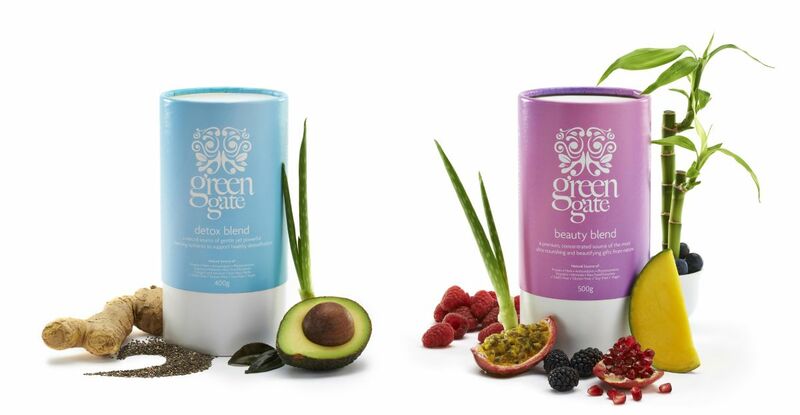 A convenient and effective range of premium superfood blends created from nature’s highest quality ingredients. Why? “We can all make a positive and permanent impact on every aspect of our lives by giving our bodies what they truly need.” Green Gate superfood supplements provide an effortless way to replenish the body’s store of enzymes with the most powerful natural ingredients on earth. In the physical world, Green Gate sell their products exclusively through Harrods. E-commerce represents the company’s only other retail channel, making it even more critical to achieving growth. Yet key product messages were being lost in far too much content. As a result, site visits were not being converted into sales. We ruthlessly cut down content, introduced greater clarity of messaging and improved navigation. A carousel on the homepage introduces each product with links to discover more. Short overviews of each product are supported by a checklist of benefits clearly explaining reasons to buy at a glance. The amount of copy has been significantly reduced for a more accessible reading experience, with lists of ingredients opening up in a separate window rather than taking up space on the main product pages.